2012 was a chaotic year for me. I had just ended a destructive relationship and was left feeling mentally and physically ill.
After a few weeks of flu like symptoms and no energy, I spoke to a GP at my local medical centre. He told me I had scarlet fever and sent me home with antibiotics. I had a feeling the GP was wrong and suspected I knew why I was actually sick. I decided I needed a second opinion and went to the Rapid Testing Site on Oxford Street for a HIV test. I found out that yes, I had HIV and what I’d been experiencing was a seroconversion illness. I was lucky to have friends who were HIV positive and they were helpful. Their peer support was invaluable. They really listened to me. They recommended doctors, told me their experiences around things like treatments and understanding test results. I had a lot to process with the end of the relationship and now my new diagnosis. I decided I had to put my health first, which meant letting go of a demanding job in computing. The break from employment helped, until I started to feel isolated. I had always worked, and I missed achieving and interacting with other people. My self-esteem and confidence soon plummeted. I was familiar with Positive Life, a peer-based organisation supporting people with HIV. I knew their Speaker Program was an important way of getting out health messages and breaking down stigma and discrimination to present a human face of HIV. Through the program, people living with HIV volunteer to go into schools, unis and the community to tell their personal story; talk about HIV prevention, testing and treatment; and answer questions. Volunteering seemed like a great way to get out of the house and be part of a community, so I signed on as a Speaker. I also volunteered in the office of Positive Life, using some of the skills I had learnt working with computers, but in a less demanding way. I also felt I had to look at my drug use, which was causing me problems in several areas of my life. I had been using heavily -- I am a poly user and had been having a long run on ice. I checked myself into WHOs, a 12-month rehab that relies heavily on peers to support each other with their goals. WHOs gave me the time out I needed to focus on my health and I soon started to feel like myself again. I had a few false starts at returning to work. As jobs came up, I applied but found interviews challenging, even though my role as Speaker has given me more confidence. When I didn’t get a job, I asked about my strong points and what was holding me back. I also did my homework, like reading the organisation’s public documents like the Strategic Plan and Annual Reports. I eventually landed a role at Positive Life with the HIV Work Ready pilot, something I could really get my teeth into. I had become passionate about wanting to help people navigate volunteer work and get back to paid work. I took my transition back into the work force carefully, starting with three days a week then building up to a full week. After a couple of years of working full-time, I am now ready to add education to the mix. This year I’m starting a Tertiary Preparation course at UNSW, to get me ready for a science degree. 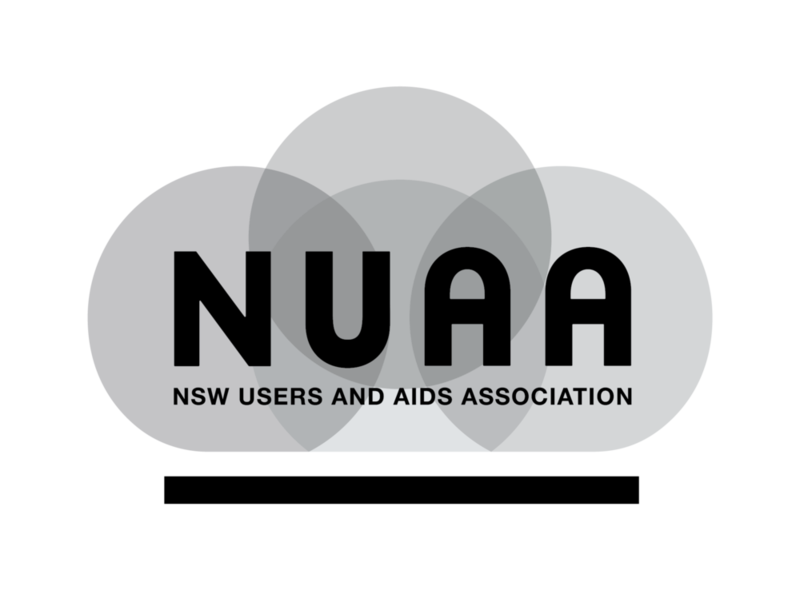 I also wanted to volunteer again and was asked to run for the NUAA Board. I am a huge fan of the meaningful involvement of peers and admire peer-led organisations. I had been a staff representative on the Positive Life Board, so I understood why governance by peers is important. I was elected and am now Secretary of the NUAA Board, a time-consuming role. If I had to make one argument for going into volunteer work, it would be that doing something is always better than doing nothing. Contributing definitely increases your self-esteem, and there is no better place to volunteer than for your own community. For me, the support I get and give as a peer has been the most powerful part of my story. If not for my peers, I might still be struggling with my health, drug use and working life. My changed relationship with HIV and drugs, and my improved work-life balance are all thanks to the peer relationships I have made. Some are formal — through my job, being a Speaker and being on Boards. Others are informal -- through my friend networks, like the group I go on long motorbike rides with. Both peer groups support me and allow me to support others. After all, that’s what community is. Jun 18 WHAT IS A BOARD?